Glossy lips are definitely making a comeback, especially for this upcoming winter. 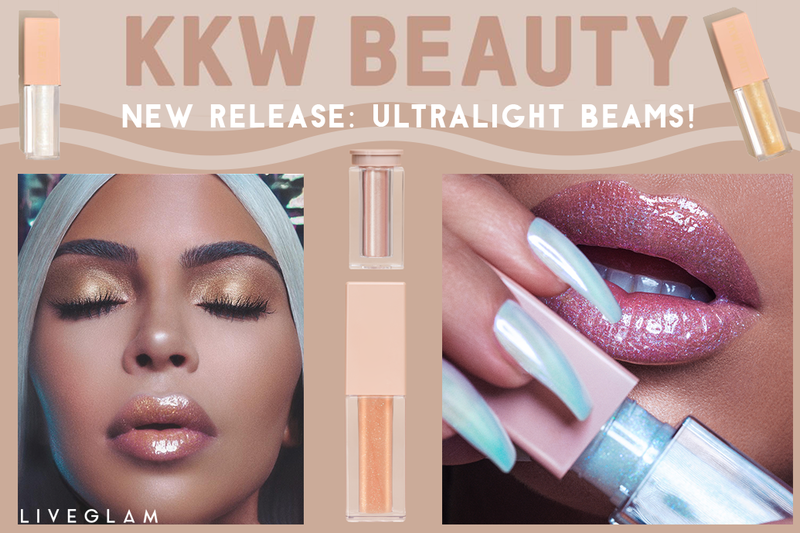 If you’re tired of rocking matte lips, Kim Kardashian has taken gloss to a whole new level with her new Ultralight Beam Powders and Glosses from KKW Beauty, launching on December 1st! Kim Kardashian West has been a force in the beauty community ever since her rise to fame in the early 2000’s. 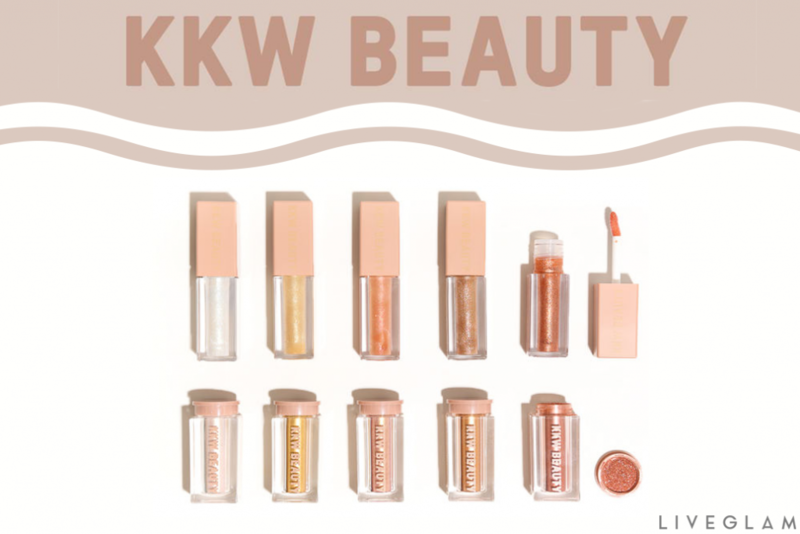 From her notorious contour and highlight techniques to her trendsetting style, it’s no surprise that her beauty line, KKW Beauty, has done so well in such a short amount of time. This woman knows business and how to leverage a brand like no other, and that is her talent. After the successful launch of her new fragrances, Kim has another card to play. For the holidays, she’s launching her Ultralight Beam Powder and Glosses, which can be used everywhere (eyes, lips, and body). Each kit comes with a fine, glittery powder, and a sheer gloss with lots of sparkle. The 5 shades are: Iridescent, Yellow Gold, Rose Gold, Copper, and Bronze, and they look absolutely stunning. As hubby Kanye West would say from his song “Ultralight Beam,” this is everything. The metallic shades are $32 per duo, or you can get the full 10-piece collection for $160. 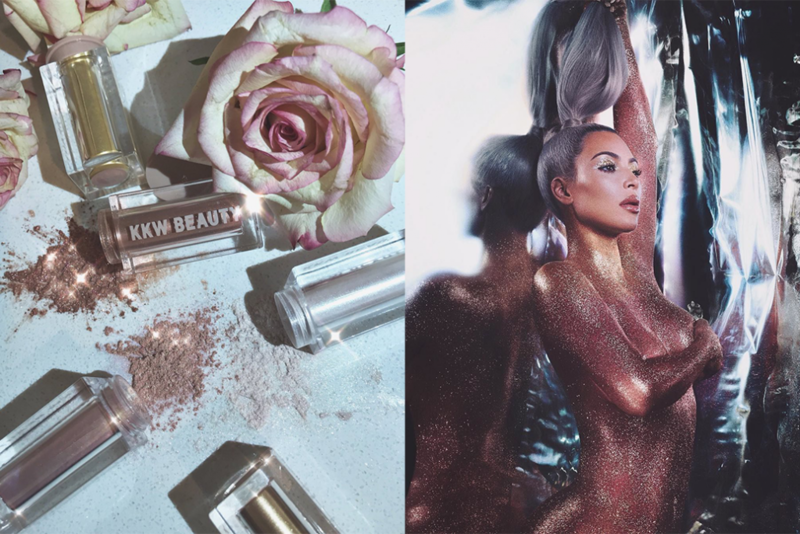 To announce it, Kim posted mesmerizing photos on her Instagram with her body covered in shimmer. The whole collection launches tomorrow! Get your hands on these beauties on Dec. 1st at 12pm EST on KKW Beauty. Make it quick! They’re sure to sell out. Will you be getting these? Let us know in the comments! Anubhuti: Hi I saw you tweet about makeup and I thought I'd checkout your website. 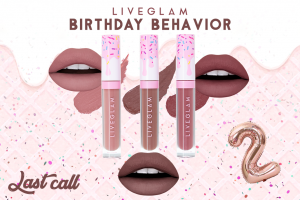 Looks like LiveGlam has come a long way. Keep up the good work. Do checkout my blog www.senseiteve.com too.